As you’re reading this, I’m probably eating blueberry pancakes in all their refined sugar, white flour glory, enjoying the view of the lake from my parent’s kitchen island. Not how you pictured me starting the month after our No Sugar September adventure? Balance. It’s all about balance. And when you have the opportunity to fly across the country to see your family, you take it! And you enjoy every sugary morsel along the way. 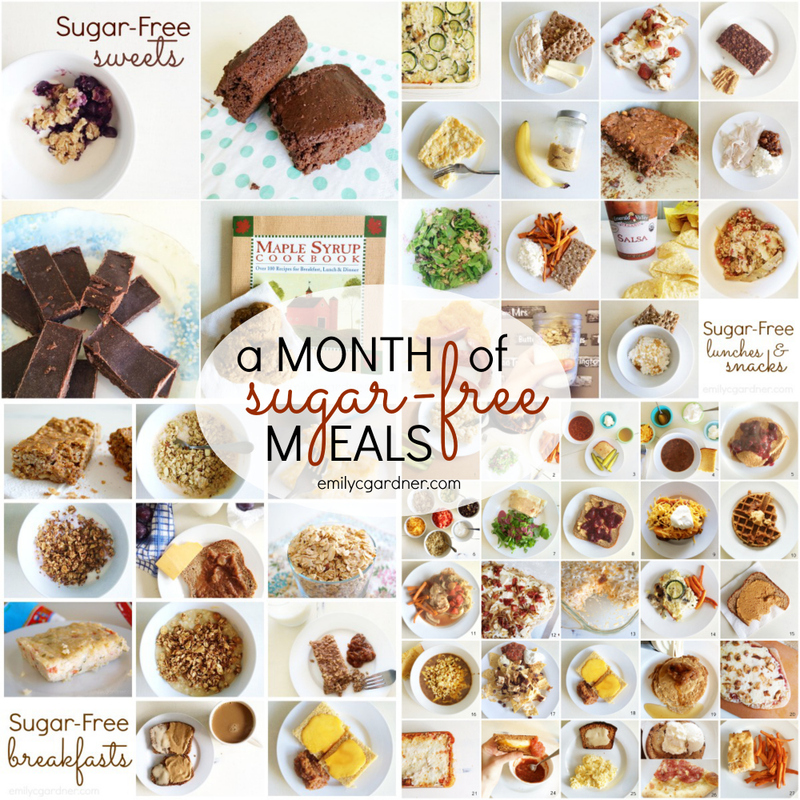 But this post is about all the non sugary morsels we ate last month. So, let’s get to it. We survived No Sugar September and we enjoyed, too. 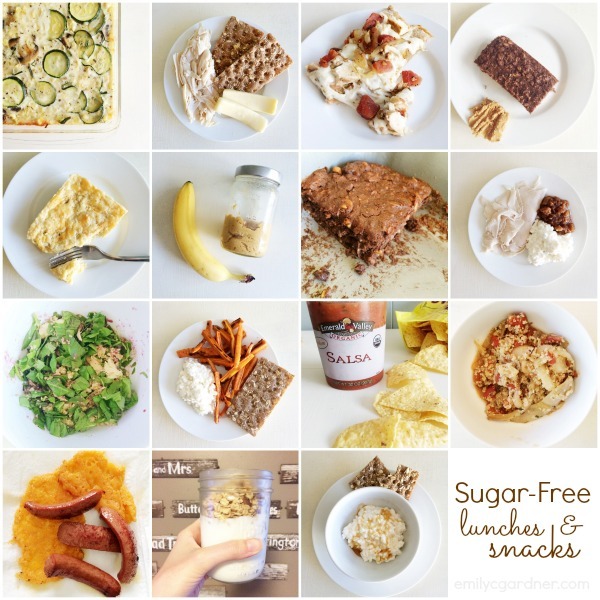 Our month with no refined sugar, no fake sugar, and no white flour wasn’t perfect. We had three sugar surprises and a couple intentional indulgences. Vanilla extract – It wasn’t until I had to buy a new bottle at Costco that I realized store bought vanilla extract was made with sugar. I’d been using it in fudge and a couple baked goods, but the trace amounts didn’t bother me, so I kept using it. Italian Sausage – I didn’t even think to look at the ingredients list when I picked up a tube to use on pizza and in spaghetti. Sugar was definitely a prominent feature. This was at the tail end of our month and I had already cooked the sausage. I chocked it up to reintroducing sugar to our system. Molasses – I had searched for whole wheat quick breads on Pinterest and found a couple I wanted to try. Both had molasses and I didn’t give its source another thought. I made one of the recipes and it was delicious. It wasn’t until Tim wondered what molasses actually was that I Googled it and discovered it was made from sugarcane. Oops. Technically it’s not refined, so I’m okay with it. Our Home Community group from church had a kick-off dinner last week and while I brought a NSS approved salad, I also ate the bbq pulled pork on a white bun and the delicious sugary desserts. We had a last minute visit from out of town family which necessitated a trip to Fire Artisan Pizza (which naturally necessitated a Bittersweet Chocolate Chip Cookie with Sea Salt, al a mode of course). And then there’s traveling. I knew I’d be flying across the country the day No Sugar September ended and there’s only so much you can do to be sugar free during a 12 hour travel day, while traveling alone with an 8-month old. I didn’t think the shock-and-awe approach would go over well, so Tim and I made the decision to reintroduce a little bit of sugar gradually during the last week of NSS. The last thing I’ll say before the food… If you’re intrigued by this No Sugar September thing, I created a special little corner of this blog dedicated to Sugar Free Living. 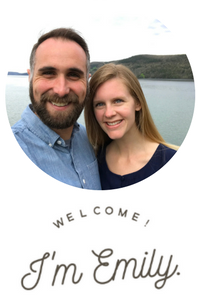 It’s the place to go for recipes, resources (like my Costco shopping list), and inspiration for a lifestyle with less sugar. Our No Sugar September Menus! Where possible, I have linked to the recipe. If a food item has a number after it, check out the footnotes to see what cookbook the recipe came from. Our mornings start with coffee: half-caf with half and half. Repeat. Wasa crispbread (Which I originally just tolerated but came to enjoy. I think it tastes like crunchy popcorn.) One package lasted the whole month. We ate breakfast for dinner multiple times and found other recipes that turned into dinner staples, like mac and cheese. The last week of NSS turned into “how to use the 6lbs of mozzarella I felt compelled to buy at Costco and a gigantic batch of crockpot marinara.” No Sugar September didn’t have as positive an impact on our food budget as I thought it would. I’d like to work on that as we move forward in our real food journey. I have an intense sweet tooth and was worried it might sabotage my ability to complete No Sugar September. However, we ended up eating more sweets during NSS than we do on a regular basis. This may have been the reason neither of us lost a significant amount of weight… I must say, though, despite the quantity of sweets, I never felt icky after eating dessert since all the ingredients were nourishing. I’m not about to give up chocolate chip cookies, but we definitely found some winners. blueberry crisp from Shauna Niequist’s book, Bread and Wine. I make it with coconut oil, instead of olive oil and it’s truly spectacular. ⁴ Recipes coming to the blog soon! Haha! I did try them. Tim had a similar reaction, though I kind of agreed with him – they don’t really taste like brownies. But, I did think they were good and we did eat the whole pan!